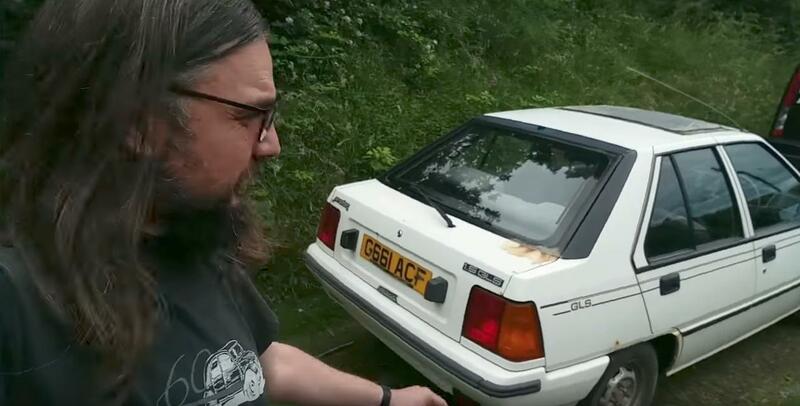 Ian Seabrook is a UK-based automotive blogger who goes by the name of "HubNut" on YouTube. He recently bought a Proton Saga Aeroback for £50 (RM280). Apparently, this is Seabrook's second Malaysian car! 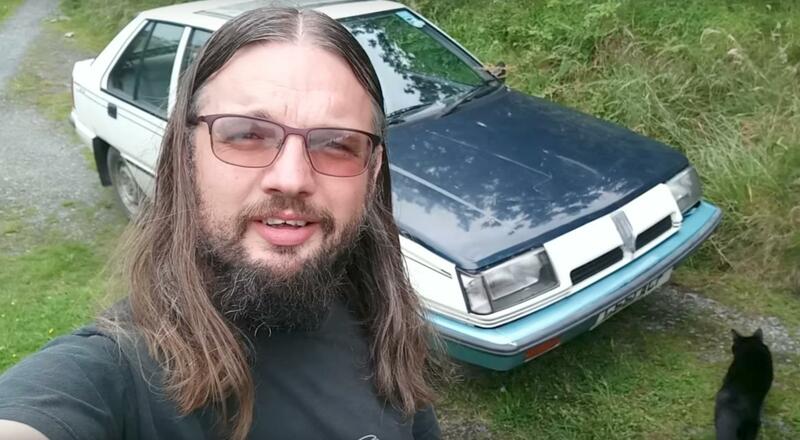 The bearded YouTuber purchased a Perodua Nippa a.k.a Perodua Kancil back in 2015. Why on earth did he buy it? Seabrook shared his thoughts on the car in a recent video. He starts off by explaining the history of the Saga and how its design was heavily inspired by the Mitsubishi Lancer. After a quick history lesson, Seabrook pointed out his favourite part of the car - the uniquely designed rear end. "It has got this beautiful boot. I've always liked the look - the origami styling and nice chunky shape," said Seabrook. "Lots of grey plastic in the interior"
He likened the interior of the Saga to the 1987 Mitsubishi Colt. "Lots and lots of grey plastic, very similar to the Colt. It has the same wiper rotating dials. Just lots of grey everywhere." Seabrook added that this Saga is a GLS variation, which meant it has a sunroof. He plans to repaint the car and have it up and running A.S.A.P. "I'm thinking of making it one colour again. Sadly though, I like the metallic blue on the bumper. I'm pretty tempted to leave that." Seabrook wrote in a blog post that the brakes on the Saga are pretty faulty and the temperature gauge tends to overheat regularly. 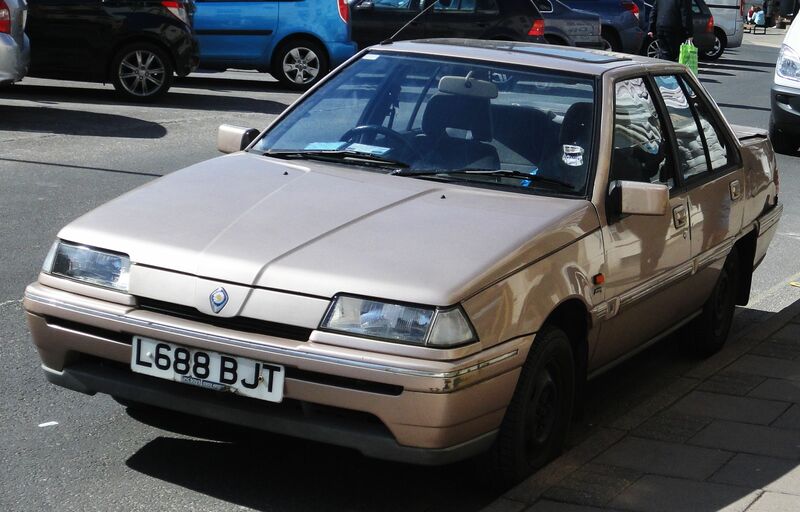 The Proton Saga made its European debut in March 1988 with its launch in Ireland. Proton managed to launch the Saga in Ireland before the United Kingdom as only minimal changes and modifications were necessary to pass Irish automotive and safety regulations. In March 1989, Proton officially launched the Saga saloon and hatchback duo in the UK. Both models were renamed Proton 1.3 and Proton 1.5 respectively according to their engine displacement. Did you know there's a Proton fan club in Turkey? 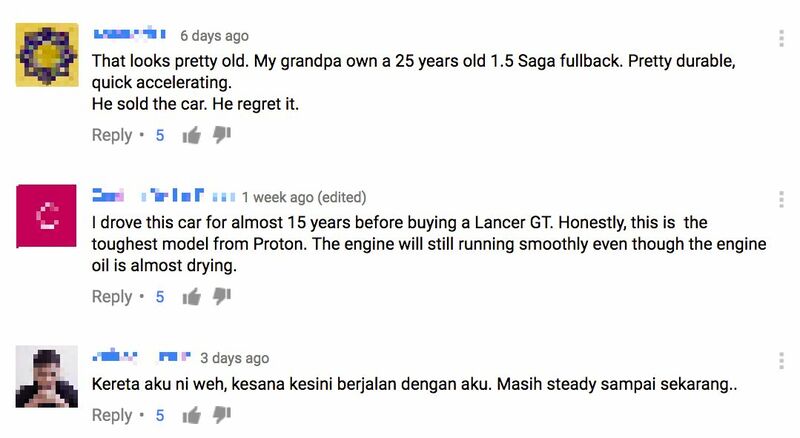 They said that Proton cars are high quality and cheap.